Since 1982 we’ve maintained a 95% customer retention rate. Here’s why. Prestige Management has been using the MDS Property Management software for over a decade. We are invested in this product as it is very user friendly and we are able to adapt and tailor our reports accordingly, as our needs and requirements change. The team at MDS is very supportive and addresses our needs timely. We look forward to an ongoing working relationship with MDS. Rapidpay has streamlined our invoice approval process. No more lost or unprocessed invoices. The integration between Rapidpay and MDS is the greatest feature as opposed to third party vendors that will not batch the invoice into your Property Management Software until it has been fully approved. With Rapidpay it will show up on your unpaid report the second it is entered into Rapidpay. MDS is always innovating and listening to client requests for improvement. Charles H. Greenthal & Co. Whenever there is a new regulation, or some new business concern I have, I reach out to MDS to find them already at work on providing a solution. On behalf of the team at A&E, I would like to thank you and your team who proactively are always there for support. Over the last 6 years that we have worked with you, you have been always available to us, accommodating and flexible to meet our needs. We appreciate the amazing customer service and customization support that you provide to us. As a self managed cooperative of 10,000 residents Glen Oaks Village has utilized Multi Data Services for the 17 years that I have been here and a couple years before that. Due to the size of Glen Oaks which encompasses 110 acres, 134 buildings and 2900 apartment units, our operation is really like running a small city. The Multi Data Services property management program has been instrumental in keeping nearly two decades of information on each of these units. The program provides us with numerous needed reports and assists us extensively in legal issues. We have about a dozen types of tenancies such as rentals, rent stabilized and shareholder occupied MDS helps us keep these organized and up to date. · Whenever a question comes up that we don’t have the answer to, we know we can call their service and always have the question or problem resolved by their staff. MDS has been an excellent match for Glen Oaks Village. Glen Oaks Village Owners Corp.
MDS has been the backbone of my business for over 20 years. During this time, they have proven to be like a key employee, or a trusted partner in helping TCM achieve tremendous growth and success. MDS’s innovative programs and un-paralleled support are keys to our mutual success. We have worked with MDS for many years and recently added document and invoice scanning through their Rapid File image system, which has benefited our clients and saved us time and expense. We have found them to be flexible and adaptable to our needs which is of great benefit in the NYC property management industry. Thank you for being such a great partner over the years.· Since 1992 your staff has helped us to efficiently handle every type of problem you can think of- the system especially shines when it comes to dealing with rent stabilized units. We recently implemented document imaging system and I cannot imagine working without it. We look forward to working with you for at least another 15 years. I consider MDS a business partner. Their growth has helped me grow my company. I also bounce new ideas off them and appreciate their feedback. MDS is essential to keeping our company running and I wouldn’t consider using a different software company. We have been MDS users since 2008 and it brought our operating efficiency to a new level. Not only is it a user friendly and fool proof property management accounting system, it also makes our annual auditing and year end closing much more efficient. I have been using MDS’s Property Management Software for nine years now. The product meets all of our needs for all aspects of our real estate management business. We manage sixty commercial properties nationwide and their software concisely captures all aspects from receipts processing to accounts payable as well as the general ledger package which makes our year end work a breeze. MDS’s customer service is always thorough as well as timely, and their software is updated automatically as they make changes to the software itself or as the various regulations change in the industry. Dealing with a local software provider focused on the New York market is very important to us. 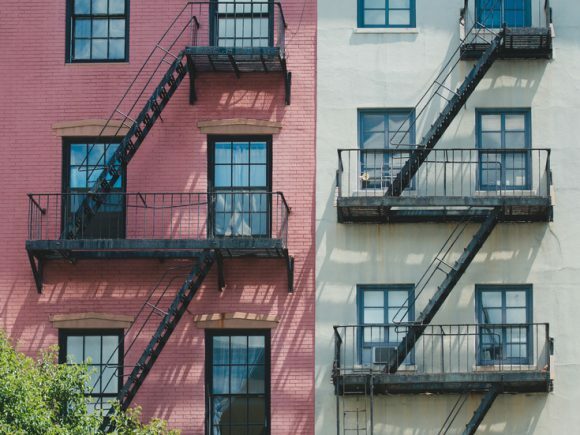 As anyone managing properties in New York knows, the rules are endless and constantly changing. MDS is able to quickly build out new functionality and to modify existing systems which really helps us to stay in compliance in an efficient way. In late 2016, Barhite and Holzinger determined a need to migrate to a more robust Property Management accounting system to support our business. We explored options and settled on MDS as a metro New York centered company that fully understands our industry. A year later, after migrating to MDS in July of 2017 we know we are in a much better place to serve our customer base. The Team at MDS provided a seamless migration, timely customer support and a product line that meets our needs in every way. MDS was a game changer for our Management Company. Since we converted we were able to operate more efficiently. In addition, we were able to grow our business by adding more units to our portfolio without having to increase overhead. MDS provides a reliable integrated accounting and property management platform that is scalable and robust. We have been using MDS for over six years and as we have grown our business, MDS has been very accommodating and supportive. MDS has proven to be a flexible accounting system which has allowed us to add several custom features to their standard program. We continue to customize their program which allows the program to bring us closer to an optimal reporting system. The staff at MDS was with us every step of the way, on the first day as well as the critical days afterwards ensuring that no errors or issues were encountered. As with any conversion to a new operating/management software system, fear of the unknown is what scares you the most but having MDS with us made the transition a smooth one. When we started using your system back in 1996 we were managing approximately 1,200 units, today we are managing close to 7,000 units and we are as happy today if not happier with the various tasks that this system can perform; from the most mundane and daily tasks to the most complicated Accounting reports. In addition the ease of using your system is amazing. My staff members are usually up and running, performing various duties with just 2-4 hours of basic training.